Keep on reading to find out the details of the treatment, described by the doctor himself. It is a great feeling when we can save a tooth from a root canal treatment and a crown. But, always with a clean cavity preparation! Because if it was my own tooth, I would have wanted the dentist to do the same for me. Always think if it was your own tooth! Always trying to save the tooth. 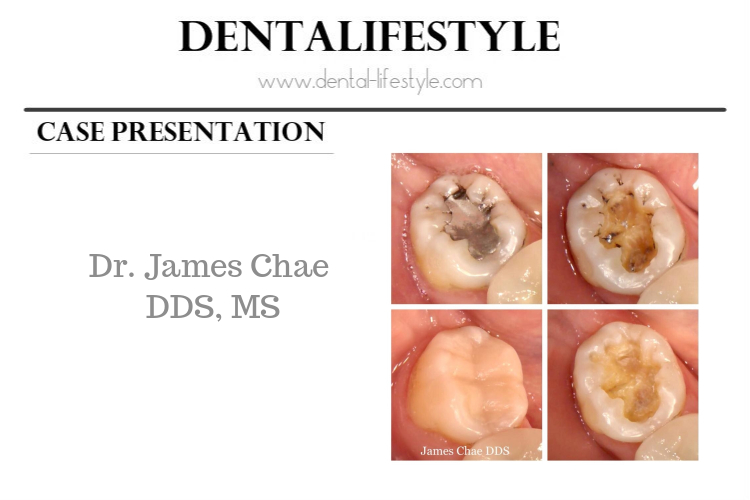 The final placement of the restoration should only be after a clean and neat cavity preparation. Common sense? This second molar was restored conservatively with a composite filling using Estelite Sigma Quick shade A2.